Remember how kitchen duties were once believed solely to be that of women? What were we thinking and, also, how 1950s are we? Any dude who has gotten into the kitchen and explored taste, flavors, and recipes will understand that cooking is so much more than waiting eagerly at the dinner table for your serving. Cooking is an art, and like any kind of art, it’s a great way to express yourself, from cooking elaborate Sunday Roasts to treating the neighborhood to the sweet smell of weekly BBQs, knowing the ins and outs of cooking even the most basic meals won’t just prevent you from starving, more importantly, it’ll inspire you to seek out even more recipes to experiment with. Knowing this, check out our 10 cooking tips every man should know, and prepare yourself to become a whole new person for the coming year. ‘But Gear Hungry, I have everything I need to sustain myself within a two-kilometer radius, and besides, my kitchen is just for show, why should I bother learning to cook?’ You say as you sit in your home, and let us guess, you’ve just clicked Confirm Order on SkiptheDishes or something similar, you’ve fired up the Xbox (or PS4, or Switch), and you’re ready to sink into the sofa and not think about anything until your alarm goes off tomorrow morning. There’s nothing wrong with this, but we know you, or we’d like to think we do, anyway, and we know just as well as you do that you can be so much more. One of the first steps to making that possible is to ditch the takeout and get into that kitchen. We’re not really sure how you’ve made it so far through life without learning to cook, to be honest, what did you do at college? What about when you were single? Did you solely rely on takeout and the kindness of strangers? Whatever, that doesn’t matter anymore. Learning to cook is an essential life skill that potential partners will love. But it shouldn’t all be about them, being self-sufficient is good for everybody, and even learning just one or two quick and easy meals will transform your confidence overnight. We would bet you a large pizza, double cheese with a stuffed crust and extra toppings that if you added up all the money you’d spent over the past however-many years on eating out because you couldn’t cook you could probably afford an array of things that you’ve always considered just outside of your budget. Unfortunately, this isn’t something guy’s realize until they actually spend a couple of weeks buying their own food. By embracing cooking for yourself (and your family, or your roommates) you’ll be amazed at how much more money you have. Now, if you want to save that up or splurge on something you’ve had your eye on for a while, that’s completely up to you. Okay, that’s a lie, there’s still a little bit of waiting around, but the days of anxiously glancing at the door or at your phone while you wait for delivery will be long, long, long gone once cooking becomes an integral part of your life. When you’re cooking, you’ll be (almost) constantly doing something, so the time will fly by, this is much more fun than sitting in a greasy-smelling takeout place, a restaurant where you’re sure the waiters are looking down on you despite you ordering the most expensive thing on the menu, or twiddling your thumbs and struggling to concentrate on whatever’s on TV. You’ve probably already got a favorite meal that you’re very excited to try, but trust us, you’ll soon get bored of this. Getting bored of your favorite meal – for now, anyway – doesn’t mean you need to fall back into the gripping throes of takeout, it just means that you have the opportunity to try something new. Do some research, check out recipes that seem simple enough to pull off and try them out, you never know, you might just discover your new favorite meal, until next time, anyway. More than anything else, you should learn to cook because it’s fun, really, really fun. It’s a great way to unwind at the end of the day, it’s a great chance to experiment with different flavors and recipes, and even if it doesn’t turn out exactly how you envisioned it, at least you’ve learned something. People cook because they need to eat, sure, but more than that, they cook because they want to, because they enjoy it, because they love it, and you might find that you do, too. If you want a painless cooking experience, then it’s perhaps best to throw out the old knives that your parents and friends have donated to you over the years and purchase a new set of sharp knives that are sure to transform your cooking experience. It’s never fun to try and chop or slice anything with a blunt knife, and often the Whetstone you might (but also might not) have in your kitchen isn’t as effective as you’d like. 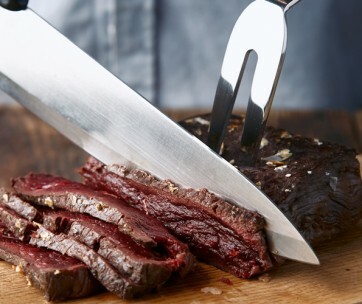 To save yourself time, effort, and energy, it’s best to seek out knives for all kinds of prep and cooking purposes, from your standard chopping knives to steak knives for when the meal is finally served. 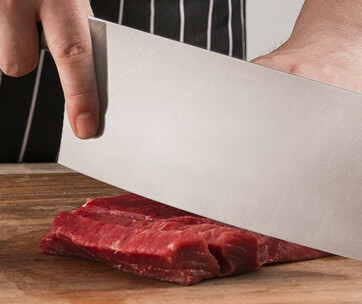 As much as good, sharp knives are important, you also need to know how to use them without causing yourself or your food horrific injury. You’ll not be able to chop like the pros at first – and maybe never at all if you don’t practice – but you should at least be able to master the very basics of chopping. Before chopping anything, whether it’s peppers, onions, garlic, mushrooms or whatever, check online (or go old school and seek out your mom’s cookbook) to learn the different ways to get the correct type of chopping you need. This could be dicing, slicing, cubing, or simply chopping, and while it won’t have any real impact on the meal itself, it’s always nice to do things correctly. Prep is also boring, though. However, just because it’s perhaps the least enjoyable thing about cooking doesn’t mean you should neglect it and think you can get everything done properly as you go along, oh no, our friend, that is a recipe (ha) for disaster. Prep is arguably the most important aspect of cooking, as without it you’re mired in stress, confusion, and you’ll find yourself rushing around. Recipes will typically give an indication of how long the ‘prep’ time is, but that normally means the preparation time before you start cooking, and doesn’t take into account collecting the ingredients, heating pans, and getting everything perfect before you even get started. Save yourself the stress and prep thoroughly before you even switch the oven on. Would you trust something served up to you that the chef themselves hadn’t tasted? What if it was overseasoned? Underseasoned? What if it just didn’t taste right? They’d never know, but you would. Doing the taste test as you cook is the only way you can really tell if the food is ready. This is primarily to do with sauces or meals such as curries, but you can also do it with parts of the meal that nobody will miss like the odd vegetable. Obviously, everybody’s palette is different, so you can never be 100% sure that it’ll be perfect for everyone, but too much of something is a good indicator that you need to dial it back before serving it up. Grandma’s Roast Chicken, Mom’s Meatloaf, Dad’s BBQ Ribs are perhaps all things that you’ve grown up eating, and these signature dishes are a great way of staking your claim as somebody who knows what they’re doing in the kitchen. A signature dish is a great go-to when you’re not sure what else to make, and helps to create a great little family tradition that will maybe inspire your kids to help out in the kitchen and hopefully prevent them being sucked into the same takeout tornado that you, once upon a time, were. If you grew up in a household where seasons were just stages of the year, your taste buds will feel like they’ve died and gone to heaven once they finally experience the wonders that seasoning offers. Finding the right seasoning to complement different dishes can make even the dullest meal something that inspires salivation and perhaps a little bit of gluttony. However, just because you can season with whatever you like, it doesn’t mean that you should, so be sure not to overseason your food, as too much of a good thing can quickly become a bad thing if you’re not careful. Nobody likes doing the dishes, but it’s even worse doing the dishes after a large, delicious, and sufficiently filling meal. This isn’t just because you want to kick back and watch TV or play video games, but also because in the time you’ve enjoyed that marvelous meal, any grime and grease has begun to solidify on the pans, and juices have started to soak into chopping boards. Luckily, because there’s still a little bit of waiting around when cooking, you can take this time to clean pots, pans, knives, and other items and save yourself (or somebody else) a job once you’re all full and lazy. We know this is a little bit similar to the knives point, but we believe that knives are important enough to have their own section. 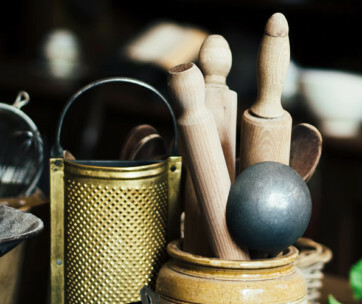 What we mean by good (preferably great) kitchen equipment is utensils and other items that you use to help you create the masterpieces you were always destined to. This includes anything that can either make your cooking easier and save you time in perfecting the meal as well as products that enhance the experience. 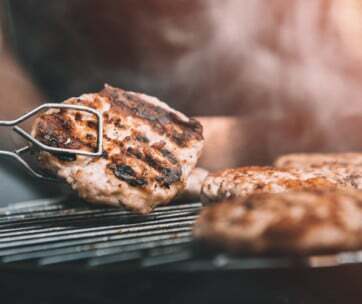 Kitchen utensils and accessories, such as an indoor grill or meat thermometers are excellent things that, when first getting started, you might not think you need, but once you get further into cooking, you’ll wonder how you ever lived without. 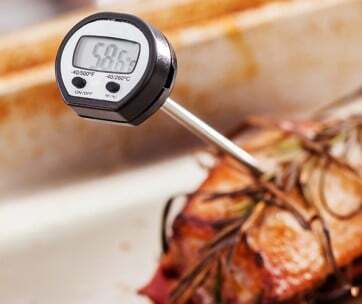 Whether your the best or worst keeper of time in the world, it’s still suggested that you invest in a cooking alarm that can keep everything firmly on track and prevent any overcooking or undercooking issues. In some cases, you don’t really need to be too wary of the time, but in others, when you want everything to be finished at the same time, it is crucial so that you don’t leave certain parts of the meal sitting around getting cold. While you can sometimes place food in the oven to keep it warm while everything else finished, this isn’t always possible. Timers aren’t expensive and they’ll make everything much less stressful. Like we said above, cooking is supposed to be fun. 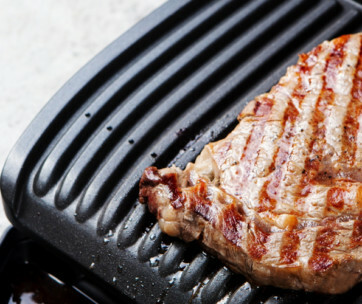 It might not be at first, but you’ll soon learn to love everything about frying (with air fryers), baking, slicing, dicing, grilling, and more. To get the most out of your cooking, don’t be afraid to experiment with different combinations of ingredients for different dishes and try out new things as often as possible, as this will save you getting stuck in a rut of cooking the same things over and over again. Pour yourself a glass of wine or crack open a beer and embrace how fun cooking can be. You don’t need to become Gordon Ramsay, Jamie Oliver, or Bobby Flay, but knowing just a few important, delicious and easily customizable recipes can transform your eating habits and stop you feeling the allure of fast-food or ready-cooked TV dinners (because ew). It’ll help you expand your horizons, taste and try things that you never thought were any good (or were told by TV they weren’t good), all while slowly increasing your skills so that one day, maybe, if you want to, you can throw a dinner party to rival the greatest dinner party of all time. Not bad for a guy who once had a loyalty card at KFC, huh?